The Ulster Museum in Belfast is currently running an exhibition focused on the posters of the First World War. Entitled Answer the Call, the exhibition covers the development of such artworks throughout the conflict. 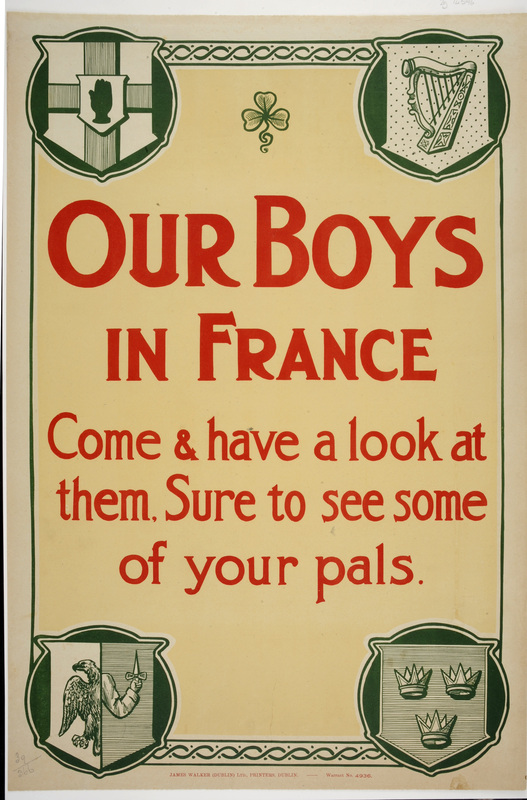 At the start of the war, text-based posters were used to encourage enlistment but it was not until October 1914 that a more eye-catching national campaign was set in motion. By the end of 1915, 89,000 Irishmen had joined the British Army, with numbers equally split between Ulster and the rest of Ireland, and between Catholic and Protestant, Nationalist and Unionist. 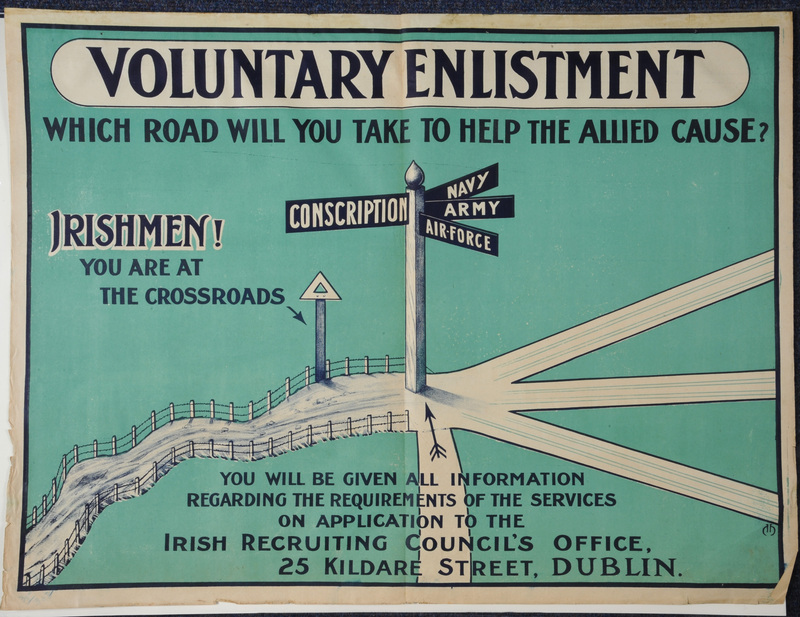 By 1918, 200,000 volunteers and conscripts had been recruited in Ireland. Volunteering declined during 1915 and conscription was introduced in Britain in January 1916. Answer the Call is part of National Museums Northern Ireland’s series of events and exhibitions to mark the Centenary of the outbreak of the First World War. Admission is free and it will run at the Ulster Museum until May 2015. This entry was posted in News and tagged 1914-1918, Answer the Call, centenary, Centenary of the First World War, posters, Ulster Museum. Bookmark the permalink.